Public transport is particularly important as approximately 38 per cent of households in the area do not have access to a car (information collected from Census 2001). The highest numbers of households with no access to a car are concentrated around the Birmingham Treatment Centre, Newtown, Tipton, Great Bridge and West Bromwich health centres. Buses that will stop at the new hospital are: Number 11, with 16 buses every hour. Numbers 83 and 89, with 8 buses every hour. Bus numbers 82 and 87 will travel to the New Dudley Road/Grove Lane stop, with 24 buses every hour. The train will stop at Rolfe Street station, which is around a 20 minute walk to the Midland Met. consider different staff working patterns. For car users there will be 800 secure, and well-lit parking spaces for patients and visitors. 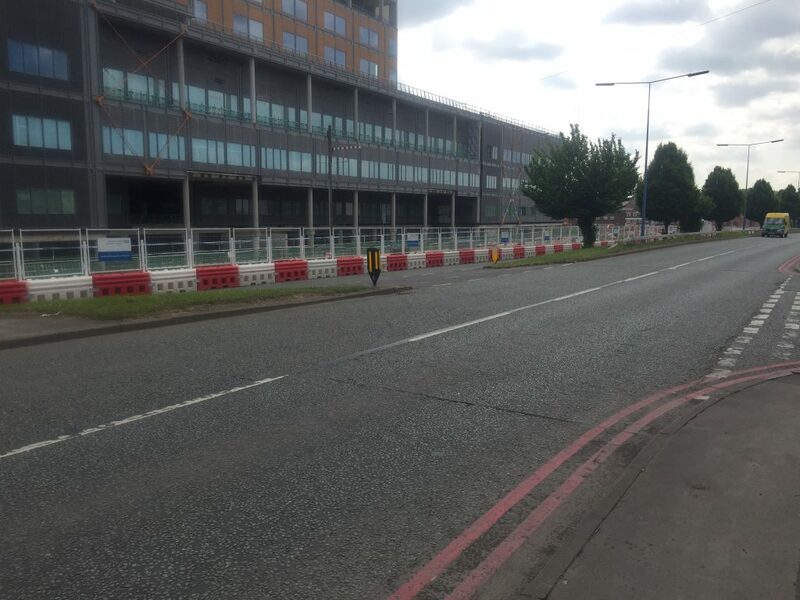 Our plans for the Midland Metropolitan Hospital site will allow several access points from the main public highway. In addition, designated drop-off and collection points have been placed at strategic locations for staff, patients and for the delivery of goods and services. Underground car parking will be provided and the levels are in the process of being built. This feature will dramatically reduce the parking implications for surrounding areas as well as providing direct access through the atrium into the heart of the main hospital. There are also exciting plans for staff. They include dedicated car share parking spaces, electric vehicle charging points and secure cycle parking.